Up this week: nefarious student data collection, reaching the next generation of learners, and online-only courses. Earlier this month, 3,000 students from across America attended the Congress of Future Science and Technology Leaders. These students believed they were nominated to attend the event because of their high level of academic achievements in high school, as outlined in their invitation. Although these students are recognized as high achievers in high school, students were invited to attend the event because of a survey they had filled out in relation to college and scholarships. MyCollegeOptions offer college and scholarship information to students and parents. However, they must first fill out a survey that asks a series of personal questions. Recently, it has come to light that the data collected from the MyCollegeOptions survey was later sold and shared with the Congress of Future Science and Technology Leaders event. While most data collection efforts are aimed at adults, this type of activity shines a light on the widespread data mining of minors. It also demonstrates how students’ profiles may be used to target students for educational and non-educational offers. Many colleges, universities, and scholarship organizations buy survey data to pinpoint prospective students. However, some survey services sell student’s personal information to marketers of student loans, credit cards, and smartphones. Despite the possible value students and colleges may receive from surveys or events such as the Congress of Future Science and Technology Leaders, critics suggest it could lead to student profiling. This could cause exclusion from opportunities such as scholarships or leave students open to aggressive marketing tactics. The next generation, known as iGen, are now entering college and posing serious challenges for universities and educators. This generation lives and breaths social media, and is the most ethnically diverse generation in history. They also want to solve the world’s problems. iGens are making their campus presence known and are driving shifts in how colleges serve, guide, and educate them. They are steering college presidents and deans to use social media platforms and are pushing academics to be more career focused. They are also changing the ways in which students navigate campus life. iGen students want to receive information about campus food and health on their terms and through their devices. This year Ohio State is embracing the iGen trend. The college has started this by issuing iPads to 11,000 students and building an Ohio State app. The app will have maps, bus routes, course planners, student grades, class schedules and a Get Involved feature showcasing student organizations. Ohio State is also changing the way they communicate with students. For example, one professor at the college takes attendance using twitter, posts assignments on Slack, and holds office hours until 10 pm via a video conference room. 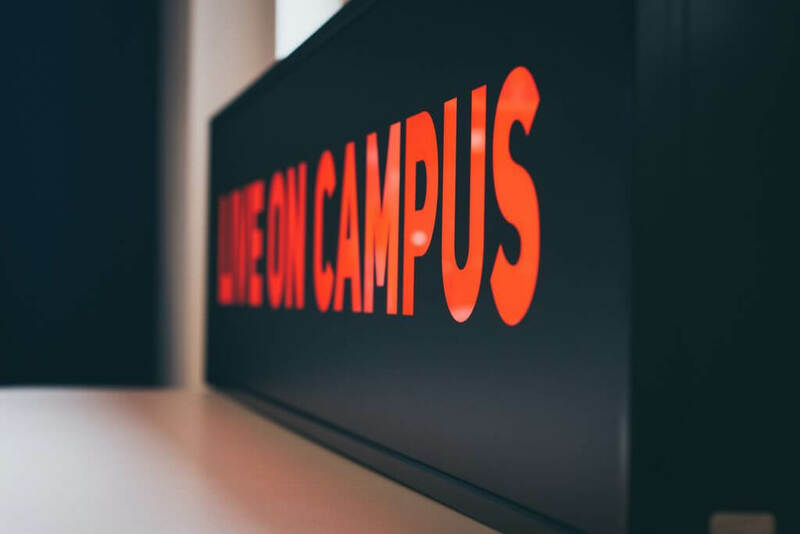 Getting student attention and keeping it matters to administrators trying to build excitement for campus events but it’s also key in spreading helpful and important campus information. Having a known and engaging presence on college social media platforms helps to keep students informed and interested. College platforms that engage with students and have a large following attract students who might otherwise tune out official communications. California’s online-only community college launches next year and will be pioneering a new way to deliver education in California. The online-only public college will be focused on short, career-oriented certificates. The college is part of an initiative by Governor Jerry Brown to create more training options for the millions of adults who are not educated beyond high school. Brown and the college’s advocates hope it will fuel the state’s economy and will produce more skilled workers that are needed. The first three programs the college will offer include information technology, medical coding, and supervisor roles in retail and government jobs. These were selected because those fields are currently suffering from a shortage of workers and require higher education. Tuition for the program will be based on the cost of college credit required to pass. Each credit is estimated to cost 46 dollars making it the lowest fee level of any community college in the country. Although the college will be focused on short-term courses, it will be required to offer one associate’s degree program to earn accreditation. There are high hopes for the effects this college will have not only on the lives of Californians but the state’s economy. However, the success of the college can only be measured after graduation. The proof will be if it provides graduates with upward mobility. Regardless of its initial success, it is certainly pioneering a new way to deliver education in California.